A new poll finds that teenagers believe social media has a positive effect on their lives, helping them feel more confident, less lonely and less depressed. 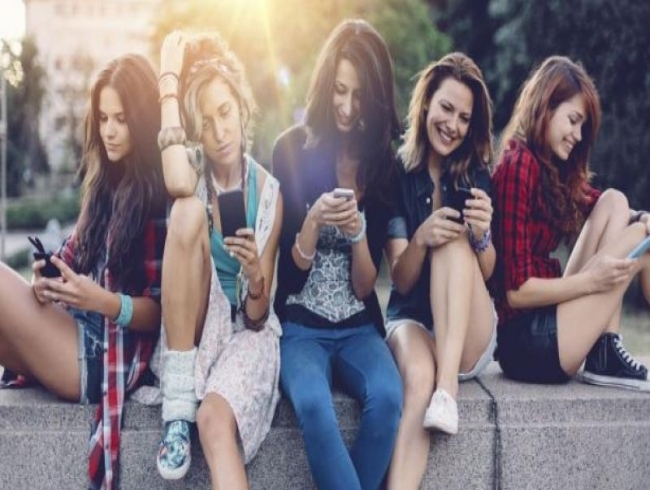 The poll, released on Monday by Common Sense Media, has found that 89 per cent of teenagers have their own smartphone, up from 41 per cent in 2012, the last time the survey was conducted. But while 2012's teens were all over Facebook, the age group's presence on the social network has plummeted in the past six years. Only 15 per cent of teens now say Facebook is their main social network. In 2012, 68 per cent did. Today, 44 per cent of teens say their primary social network is Snapchat, making it the most popular social media app, followed by Instagram (which is owned by Facebook) at 22 per cent. The majority of teens - 59 per cent - said social media makes no difference in how depressed they feel. Twenty-nine per cent, meanwhile, said it makes them feel less depressed and 11 per cent said it makes them more depressed. Thirty-nine per cent said it makes them feel less lonely and 13 per cent, more lonely. Thirty-five per cent of teens said texting is their favourite way to communicate with friends, compared with 33 per cent in 2012. Only 32 per cent said talking in person is their preferred method of communication, down from 49 per cent among 2012 teens. Sixty-four per cent of teen social-media users said they come across racist, sexist or homophobic or other hateful content either sometimes or often. Sixteen per cent of teens use social media "almost constantly," while 19 per cent never do. Thirteen per cent of teenagers said they have been cyberbullied. Nearly a quarter, meanwhile, has tried to help a person who has been cyberbullied by talking to them or reporting it to an adult. More than half said parents worry too much about social media - on the other hand, 46 per cent think parents would be a lot more worried if they knew what "actually happens" online.